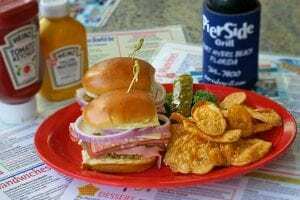 PierSide Grill and Famous Blowfish Bar again has been selected to host performing artists and music fans attending the 2018 Island Hopper Songwriter Fest on Fort Myers Beach. Island Hopper is multi-city, multi-day music festival that attracts thousands of music lovers in town to see more than 75 singer-songwriters from across the country. The event starts Sept. 21-23 on Captiva Island, then moves Sept. 24-27 to historic downtown Fort Myers before closing Sept. 28-30 on Fort Myers Beach.